There are some rules for how much home you can afford, or how big your mortgage can be, and the real answer a a responsible mortgage broker will tell you, is that “it depends”. As a home buyer, you can rely on a bank to tell you how much home you can afford, you can figure it out on your own, or you can rely on a responsible mortgage broker. Therefore, consider a more personal approach provided by a responsible mortgage broker when you think of the question, “How much home can I afford?”. A responsible mortgage broker will help you determine the maximum monthly payment you would like to make each month. This will require thought and attention to your household budget. Then, using using a mortgage calculator, the responsible mortgage broker will feed your desired payment and today’s mortgage rates to find the loan size with the kind of payment you can afford. This method used by a responsible mortgage broker is better at holding you “on budget”, as compared to letting a bank set your maximum purchase price. Recently, there has been some tougher lending restrictions imposed by Government regulators. One such regulation which may keep home owners ‘mortgage prisoners’ is the Total Debt Servicing Ratio (TDSR). The TDSR was put in place to ensure that financial institutions exercise prudence in giving out loans, but this new rule actually traps a group of property owners, as they now would not be able to refinance their home loans to cheaper rates. A responsible mortgage broker would alert you to such traps. In Singapore, where we have a good number of local and foreign financial institutions, the choice of a lender and its packages can be mind boggling. Imagine having to compare over hundreds of different loan packages and wondering which is best for you. Even if you are a specialist in finance, it is not so straight forward as there are quite a few variables. Most of the time, your property agent would also refer a contact at a bank to you. The point is, does the property agent know which bank package is good for you? Do they know how to calculate your loan affordability and interest costs? 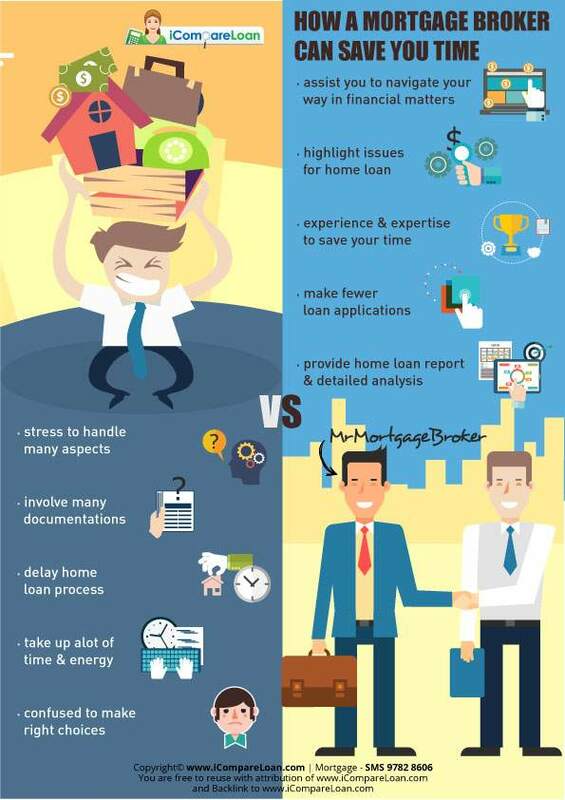 Do the property agents have the supporting home loan reports to assist you to find the right home loan packages and layout the facts for you? This is where the responsible mortgage broker comes in. Mortgage brokers usually have many years of experience in the credit and finance industry. This means they know how to get your application approved and how to get you the best home loan which fits your situation. Responsible mortgage brokers usually have very good relationships with lenders. This is good news for those who need their loans approved and disbursed with as little delay as possible, so that they can enjoy their new homes sooner. In most cases, the application turnaround time can be 2 – 3 days faster than going directly to the bank. A responsible mortgage broker will keep you updated on each stage of your home loan application until the loan is disbursed. They will liaise with the different parties like property agents, conveyancers and valuers, to make the process seamless and stress-free. Would be home owners with complex needs often get dismissed as ‘bad borrowers’. That’s because most banks do not have the skills to handle complex or the special requirements of the home buyers. A good mortgage broker, however, understands. From property investing, to construction loans, to commercial properties, to bad credit loans, to unusual employment situation, to non-resident loans and non-traditional properties, there are many different types of loans. It actually makes good sense for someone who is looking to invest or someone with complex needs and goals, to use the services of a mortgage broker. It is especially an excellent option if you don’t know much about the best home loans or the home buying process. The best home loans often come with different features which fit your unique financial needs. And from home loan with a redraw facility to interest-offset mortgage accounts, there are many different types of home loans with varying features which can help you better manage your mortgage over the long term. A good mortgage broker would be able to analyse your unique situation and recommend which home loan features are best for you. Engaging a responsible mortgage broker can help you save time and money. They help you ease the process of shopping for a home loan, and tell you “how much house you can afford”. The post Responsible mortgage broker will tell you how much house you can afford appeared first on iCompareLoan Resources.